Discussing Decatur, I mentioned recently there might be some school shootings with the opening of the new academic year. Decatur weirdness continues, as AWG has alerted me. But shootings are in our radar for now, for some school districts began last week. For most, the school year will officially start this Wednesday, September 3. What did occur is that a shooting did take place on August 30 - exactly ten days after the Decatur event. What it highlighted, for our twilight language purposes, was an intriguing circular "coincidence" – namewise. 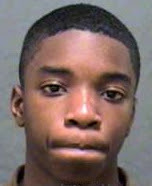 Officers responded to a report of a shooting of one student by another, suspect Richardson, around 2:30 p.m. August 30, at Carver High School in Winston-Salem, North Carolina. Police say the school had been conducting a fire drill when a school resource officer heard shots fired. A 15-year-old student was hospitalized with non-life threatening injuries. Now some name games from this most recent event link to the Decatur drama. The August 20th incident's Decatur high school name, you will recall, was the Ronald E. McNair Discovery Learning Academy. 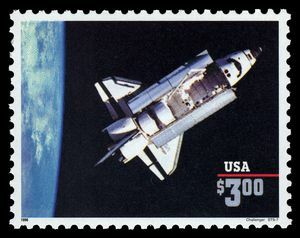 The late AfricanAmerican astronaut Ronald E. McNair attended Carver High School, in Lake City, South Carolina. He graduated as the valedictorian of his class. Carver High School became Lake City Junior High School when integration occurred and students of Carver High and J. Paul Truluck High combined into Lake City High. 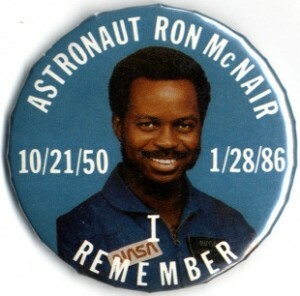 The school later became Ronald E. McNair Junior High to honor the astronaut, and then later the student body changed and it was renamed Ronald E. McNair Middle School. 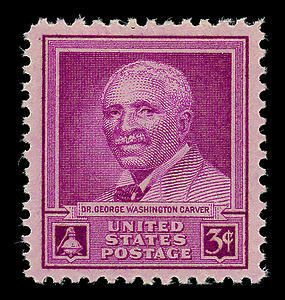 The 1948 stamp honoring Carver. These schools, like many historical black/AfricanAmerican schools in the American South, were or are named after George Washington Carver. Carver (alive by January 1864 – deceased on January 5, 1943), was an AfricanAmerican scientist, botanist, educator, and inventor. The exact day and year of his birth are unknown; he is believed to have been born into slavery in Missouri in January 1864. George Washington Carver reputedly discovered three hundred uses for peanuts and hundreds more for soybeans, pecans and sweet potatoes. As you can see, this tale of three schools overlap in their journeys among the Carvers and McNairs. What all this means, of course, lies beyond perhaps even human understanding. That Michael Brandon Hill (the shooter in the recent Decatur event) might have intertwined with the power names of Jim Brandon of Rebirth of Pan fame, of course, was merely a "coincidence."